There is nothing more important than family. Perhaps that’s why it’s hard to set emotions aside when you face an issue in family court. Regardless of the situation, it pays to protect your interest with experienced legal representation. At Marrero, Chamizo, Marcer Law, our Family Lawyers in Miami have the experience you need to handle any matter of Family Law. Wtih over 30 years of experience and a solid record of success, our team is ready to work for you. As your family lawyers, we will help you understand your rights and protect them. You can rest assured that we will look after the best interest of your family and help you address your specific situation. When you have legal concerns that affect your family, it’s normal to feel under pressure. Especially, when you don’t know your rights or what to expect. Making decisions that can affect the rest of your life is not easy when you’re not able to think clearly. That’s why our Family lawyers are here to help you. 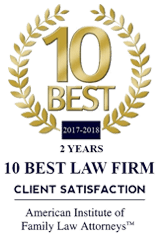 Divorce or Asset & Property Division: Our Family Lawyer Miami attorneys help clients before, during, and after any divorce or separation in Miami. Child Custody: We help clients with child custody, time sharing, child visitation, child relocation, paternity determination, father’s rights, guardianship, and termination of parental rights. Child Support: Whether you are a woman or man, the paying parent or the one to receive child support for your children, you need our Family Lawyer Miami Attorneys at your side to protect your rights. Modify Agreements or Enforce Court Orders: If you need to modify an existing agreement or need to enforce a court order, our Family lawyers are ready to help. Contact Our Family Lawyers in Miami Now! Don’t compromise the outcome of your situation without protection of experienced legal representation. It requires legal knowledge to know how to protect your interest and assert your rights. Call 305-446-9466 to schedule a consultation with our Family Lawyers in Miami Today!